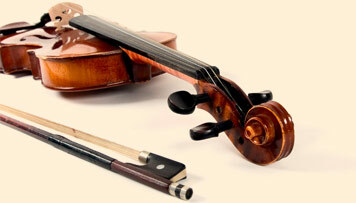 Celtic fiddle with a classical twist: the heart and soul of a fiddler, the artistry and finesse of a classical violinist. 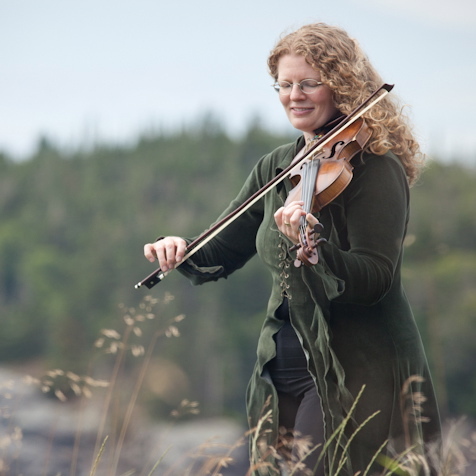 Award winning fiddler Katherine Moller is one of New Brunswick’s most versatile musicians. Whether she is playing traditional fiddle tunes in a crowded pub or the music of Bach on a concert stage, her love and respect for the instrument and its wide-spread appeal have brought her considerable acclaim as one of the province’s true fiddle ambassadors. Katherine has often been compared to the Juno award-winning Celtic fiddler Natalie MacMaster as well as Alasdair Fraser, perhaps Scotland’s most revered master of the instrument. Both have long been musical heroes for Moller, who began playing at age six, but there is a richer complexity to her work than can be found in any one influence. “Her love of music of music, whether it is fiddle music or violin music, shows in her approach to a great tune that gets her audience involved,” says Brenda McMinn, of the Daily Gleaner and This Week. Bright-Eyed and Bushy-Haired followed in 2011, and along with it a coveted nomination for an ECMA award for roots/traditional solo album of the year as well as three more nominations for MusicNB Awards – including one for female recording artist of the year. Bowie, writing for The Daily Gleaner, named Bright-Eyed and Bushy-Haired as one of the year’s best. In 2012 she won MusicNB’s Classical Artist of the Year award. Her most recent CD Greensleeve’s & Puddin’ Pies was released in 2013. Recorded in honour of her father, Richard Riding, this CD received multiple Music NB nominations and was recognized as Roots/Traditional Recording of the Year in 2014. 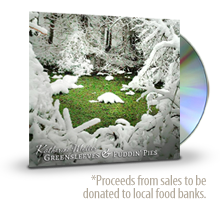 A part of Katherine’s Legacy Project, all funds being raised from this CD are being donated to local food banks. She started out as a youthful classical musician, steeped in the music’s age-old practices, only to discover a whole new world upon hearing McMaster and Ashley MacIsaac performing one summer at a festival in Nova Scotia. Later, Katherine earned a degree in music theory at McGill University in Montreal, but also studied fiddle in Ireland after receiving a grant from the Canada Council for the Arts. A new voice, one that combined elements of both traditions, was born. Katherine also finds collaborative inspiration in broader musical contexts. 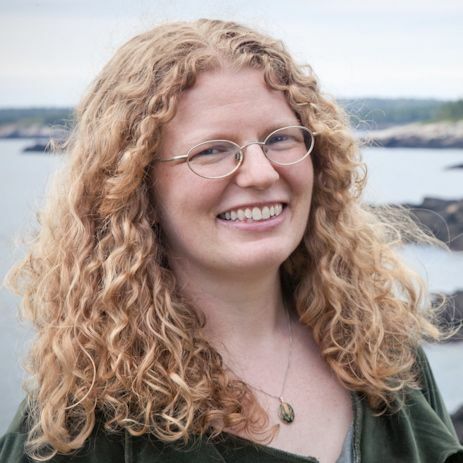 She’s appeared with Symphony NB, the Atlantic Sinfonia, Seasons Baroque Ensemble, the Early Music Studio of Saint John, and Celtic band Tangled Traditions, among others. That ability to fit seamlessly into a larger mosaic of sound is borne out of an unabashed life-long affection for music, and it plays out not just on stage, but also in the classroom. 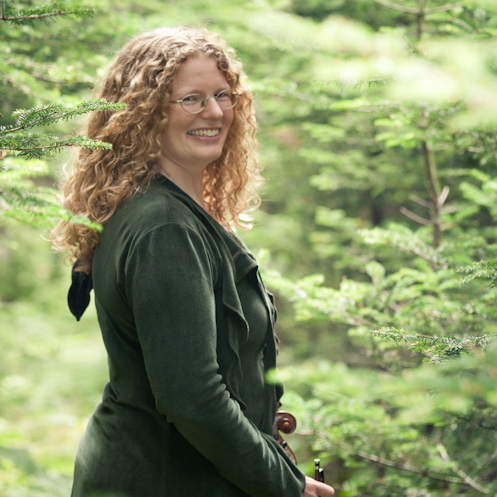 Katherine is active in teaching around her hometown of Fredericton, NB, Canada, providing private lessons and running programs at local schools – both focused on shaping the careers of youthful musicians. She has, over the years, also opened a teaching studio at the Charlotte St. Arts Centre, and founded and directed the Fredericton Fiddle Orchestra as well as the York Early Music Ensemble. Katherine’s music is so much more than just four strings and a bow. Copyright © 2019 Katherine Moller. All Rights Reserved.